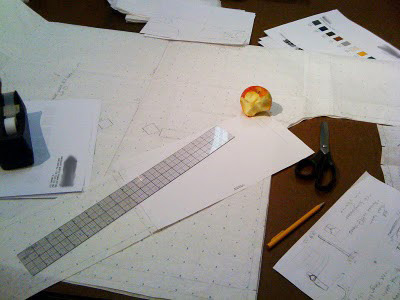 The development and production process of the Loomstate zero-waste anorak is well under way. Throughout the past few weeks, I have been sourcing trims, determining fabrics and going through several pattern alterations with the Loomstate team. Due to the nature of zero-waste, some issues have come up along the way, which is making it a learning experience for all of us. Can't wait to see the first sample!